Sign up below for this great FREE Blogger Opportunity! Please say that A Look Into Our World referred you! *The blog that refers more bloggers will get FREE host 🙂 Here is the promotional post! Please Say A Look Into Our World referred you!! Thank you all!! 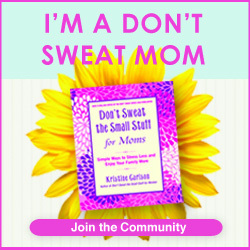 I have plenty of friends who are pregnant or nursing, and I KNOW that they will love this Giveaway!! 4 lucky ladies will win a set of Pretty Mommies Skincare products, thanks to The Blogging Mamas Network and Pretty Mommies!! Enter below and GOOD LUCK!! Did you know it’s important to use safe skincare while you’re pregnant and breastfeeding? The Blogging Mamas Network and Pretty Mommies have come together to bring you important information about safe skincare during these special times AND to offer you a chance to win 1 of 4 sets of Pretty Mommies Skincare! Pretty Mommies Skin Care is an all-natural, physician-based maternity skin care line that has raised the bar to become the new standard in safety and efficacy for pregnant and nursing women. Pretty Mommies not only addresses the challenges due to the hormonal changes associated with motherhood, but also sets a new standard of safety for you and your baby. Contains ingredients such as Rose Hip, Vitamin C, Aloe, Green Tea, Red Tea, Squalane (derived from Olives) and Trichloma Matsutake Singer Extract (Japanese Mushroom). Each ingredient has a specific natural skin care benefit. Pretty Mommies is a 3 step skin care line – including a cleanser, a skin brightener, and a sunscreen. Although it’s specifically formulated to deal with the hormonal imbalances of pregnancy and nursing, EVERYONE can benefit from it’s natural ingredients. To learn even more about each of the 3 products, read the detailed Pretty Mommies Review on According to Jenny. The Pretty Mommies Skincare Line is available on the Pretty Mommies Website and through selected Physicians Offices. The set retails for $158 or each product can be purchased separately. Pretty Mommies has recently partnered up with the BabyLove Project – a subscription sampling service that gives new and expecting mothers access to healthy beauty and skincare products in an innovative way. They’re currently surveying new and expectant moms, so if that’s you – they would love your feedback on this survey! This giveaway is open to US/CAN residents, 18+ only. Giveaway ends at 11:59 pm EST on December 10th. Disclosure: Special thanks to Hosts According to Jenny, So Easy Being Green, An Ordinary Housewife, and other Pretty Mommy Bloggers! Event bloggers are not responsible for Sponsor Prize Shipment. So last time I participated in a Soda Stream Giveaway it received a TON of entries. I am excited to be partnering with many great bloggers to bring you this giveaway just in time for Christmas!! Enter Below and GOOD LUCK!!! With the holiday season upon us, wouldn’t it be a fun family event to make your own soda? Or maybe a family taste test with all the variety of flavors it has to offer? Whatever you choose, I guarantee it will be fun and a great conversation starter!